Education: Bremerton High School Graduate 1985, Seattle Central Community College 1987 Doug is a Licensed Dispensing Optician and the Manager here at Kitsap Optical. 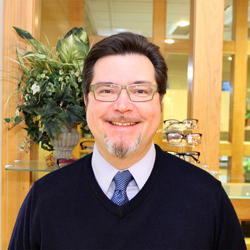 He has worked at Kitsap Optical since 1987. When asked what he likes best about working at Kitsap Optical he said, "Working in an environment that is like family. A staff that cares about the quality of the work they do and having the freedom of being independent and being able to order the products that will be best for our clients regardless of who the manufacturer is. Doug's hobbies and interests include fishing, golf, Seahawks football and Mariners baseball. Doug is actively involved in the Rotary Club of East Bremerton, previously holding the position of president (2010). Education: Graduated Bremerton High School in Bremerton WA in 2002! *GO KNIGHTS! * Studied at Olympic College 2002-2004. 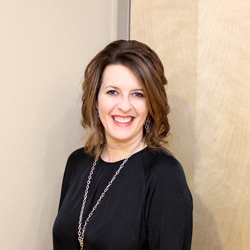 Heidi is a Licensed Dispensing Optician and started working at Kitsap Optical in 2000. In 2003 Heidi took a short break to travel the United States coming back in 2008, and has been here ever since! She was licensed in 2013. 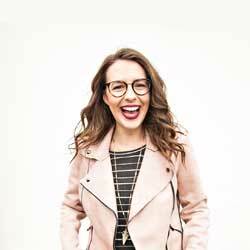 When asked what she likes best about working at Kitsap Optical she said, "I LOVE working here. I love my co-workers. We are all family and get along that way! Each and every person here plays a significant role in our family like atmosphere! We do our very best to ensure that each and every person that walks through our door receives the BEST customer service possible. We want to take the time to get to know you, and to make sure that you are getting exactly what you want. Every person is different, with a different expectation, and we want to meet them! When you walk in our door you're family-NOT a number!" Heidi's hobbies and interests include being a Mom to her beautiful children and being a fun Auntie. She enjoys performing in the church choir and dessert theaters. She likes racing Demolition Derby, working on cars, camping, spending time with family and friends, and photography. Education: Graduated Modesto Christian High School. Earned a Bachelor of Arts at University of the Pacific, and Teaching Credentials from California State University, Stanislaus. She is also a Certified Home Stager. 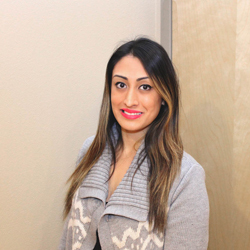 Monica has been at Kitsap Optical, Inc. since 2014. She is a valuable asset to our staff. She keeps us all organized. She helps with anything and everything there is! When asked what she likes best about working at Kitsap Optical she said, "I enjoy working at Kitsap Optical, Inc. because I appreciate the amazing customer service and attention to detail, and I know that we offer something rare to our customers. The knowledgeable staff is so good at getting the very best vision and fit for our customers. We really care!" Monica's hobbies and interests include reading, decorating, sports, baking, and spending time with family and friends. Education: Carissa graduated from Olympic High School in 2010 and attended Bellevue College from 2010-2012. Carissa’s enjoys scrapbooking, doing crafts with her 4 year old daughter, and spending any free time at Target. 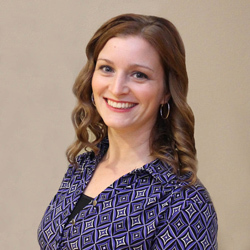 Education: Effie graduated from Olympic High School in 2010 and attended EWU 2010-2012. When asked about working at Kitsap Optical she said, "I enjoy the playful energy and the opportunity to learn so much from all of my coworkers!" Effie's hobbies and interests are baking, decorating, and spending all her down time with her dog Bauser.